Despite trade differences, US & Canadian lumber companies voted overwhelmingly to continue the softwood lumber check-off program—a nation-wide promotion program—which is great news and music to the ears of this Tree Frog. In related news: the House passed a third-party bill requiring the Canadian government to consider wood in federal infrastructure projects; Canada’s newest architecture school features CLT; and modular CLT may help address the UK’s dire need for housing. Elsewhere, awards abound: a sampling includes: FPAC’s Lifetime Achievement to Michael Jordan (posthumously) of Canfor; FPAC’s Women in Forestry Award of Excellence to Tanya Wick of Tolko; FPAC’s Rising Star Award to Matthew Buxton of Canfor; and FPAC’s Forest Community Champion Award to Richard Cannings, MP South Okanagan-West Kootenay. And here are a few awards courtesy of the US Endowment for Forestry and Communities. Finally; an Alberta drone test may offer cheaper reforestation; an Oregon online tool raises wildfire awareness; and the pellet industry seeks to bridge biomass’s ideological divide. The Forest Products Association of Canada is pleased to name Richard Cannings, MP South Okanagan-West Kootenay as a winner of the 2018 FPAC Forest Community Champion Award. Cannings will be joined by International Trade Minister François-Philippe Champagne, Kenora, Ontario Mayor Dave Canfield, and Whitecourt, Alberta Mayor Maryann Chichak in receiving this recognition at a special event to be hosted by FPAC in Ottawa today. Cannings is the recipient of the Forest Community Champion Award for his work in tabling and advancing his Private Member’s Bill C-354 which promotes the use of wood in federal government procurement. The Forest Products Association of Canada presented the Women in Forestry Award of Excellence to a Vernon woman in Ottawa Wednesday, May 23. Tanya Wick, from Tolko Industries, picked up the award. …“FPAC has developed an awards program that salutes those who are making a difference and serve as an inspiration to all of us,” said FPAC CEO Derek Nighbor. “The forest products industry in Canada is becoming more diverse and is committed to encouraging women to join Canada’s greenest workforce and celebrating the accomplishments of female leaders in our sector today.” As the first female executive in Tolko’s history, Wick has seen her role expand from vice-president, human resources, to vice-president, people and services. Another positive sign Grand Forks is getting back to a bit of normalcy after the Great Flood of 2018 happened Wednesday when Interfor Corporation announced that it resumed operations at the Boundary City sawmill. Management had closed the sawmill in Grand Forks for the past two weeks due to following severe flooding in the area. …“I am deeply appreciative of the commitment of our employees whose personal lives were impacted over these past two weeks,” said Andrew Horahan, Interfor’s Vice President, Western Operations said in a media release Wednesday. …Fortunately, such actions limited the risk to the mill’s infrastructure and equipment and has allowed the mill to resume operations now that the water level has receded. Wednesday in Ottawa, the Forest Products Association of Canada in partnership with the Canadian Council of Forest Ministers, presented the Skills Award for Aboriginal Youth to Aaron Jones of Garden River First Nation. The Skills Award for Aboriginal Youth is open to First Nations, Métis or Inuit individuals aged 18 to 30 who are enrolled in an apprenticeship program, college or university, with strong academic standing, and a demonstrated commitment to their field of study and a career in the revitalized forest sector. Aaron is currently in his second year at Sault College studying Natural Environment Technology. This summer, he plans to work with the Ministery of Natural Resources and Forestry as an assistant resource management technician, assisting with a study on regrowth after logging operations. It’s hard to say who’s at greater fault – the company taking down old-growth forest or the government for not being on top of this. We’ll declare it a tie. A government report last week showed that two of 12 stands partially harvested by Port Hawkesbury Paper contained old-growth forests – areas of natural value that are becoming increasingly rare in the province and certainly deserving of protection. Natural Resources Minister Margaret Miller said she was surprised by the finding and claimed that the department does a good job of providing oversight in industrial activity in forested areas. The obvious question here is how then does something like this happen? …Nova Scotians should be alarmed that governments are so out of the loop when it comes to industrial activity contributing to ecological degradation, but too often we aren’t surprised. 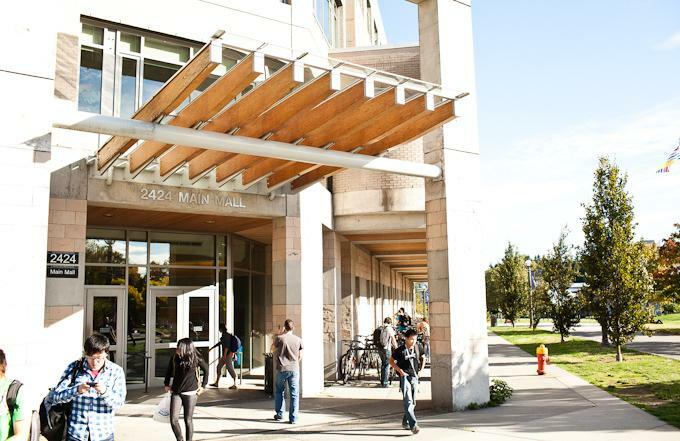 Students of Canada’s newest architecture school won’t have to venture far to see lessons from the classroom come to life. The latest addition to Laurentian University’s real estate portfolio highlights, rather than hides, the way it was constructed. …“The new building that we introduced was a combination of CLT and steel, and part of that was to demonstrate two more contemporary technologies doing what they do best,” said Janna Levitt, founding partner of LGA Architectural Partners, “so the spans and the thinness of the steel versus the thickness and the span of the CLT building — materials that you can leave exposed and structural materials that you have to enclose because of thermal bridging.” The addition of the L-shaped, two-wing building offers students a study in contrasts between these two modern construction methods, as well as between 19th-century-style timber construction and 21st-century CLT construction. WASHINGTON — Associations on both sides of the issue have shared public comments on proposed Section 301 tariffs against China. Opponents argue that tariffs would have negative impacts on consumers as well as various sectors of the supply chain that actually benefit U.S. manufacturers. Among the opponents of the tariffs is the International Wood Products Assn., a leading international trade association for the North American wood products industry. It represents some 200 companies and trade organizations that import hardwoods and softwoods from sustainably managed forests in more than 30 countries. “It is critical to note that the wood products found throughout our homes and in the buildings where we Americans work and play, as well as in the manufactured goods we use each day, are not made from a simple interchangeable commodity,” wrote Cindy Squires, executive director of the IWPA. 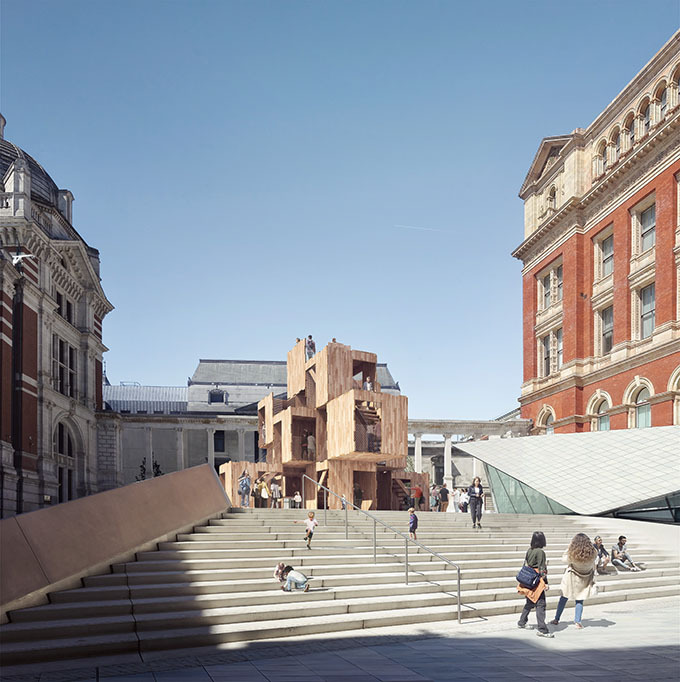 Waugh Thistleton Architects, the American Hardwood Export Council (AHEC) and ARUP are collaborating to present ‘MultiPly’, a modular cross-laminated tulipwood pavilion, in the Sackler courtyard of the V&A from 15 September. …The three-dimensional structure will be built out of a flexible system, made of 17 modules of American tulipwood cross-laminated timber (CLT) with digitally fabricated joints. Like a piece of flat-packed furniture, it will arrive as a kit of parts and will be simply and quietly assembled in under a week Because it is built out of modules, the pavilion can be taken apart and reassembled in a new home after the London Design Festival. ‘MultiPly’ confronts two of the current age’s biggest challenges – the dire need for housing and the urgency to fight climate change and presents the fusion of modular systems and sustainable construction materials as a solution. VICTORIA – An audit of 0866740 B.C. Ltd., held by Aspen Planers Ltd., on forest licence A18700, has found compliance with most requirements of the Forest and Range Practices Act and the Wildfire Act, according to a report released today. All activities carried out by Aspen Planers, between July 2015 and November 2017, were audited, included harvesting timber, constructing, maintaining and deactivating forestry roads, reforesting logged sites, wildfire protection and associated planning. “The audit did find some issues with how Aspen had managed visual quality,” said Bruce Larson, board vice-chair. …The audit also found that Aspen assesses the fire hazard for its harvest blocks as part of the final road and block inspection, but its assessments do not adequately consider the risk of a fire starting and spreading. The massive task of restoring land denuded by fires, drought or human activity might eventually be helped by swarms of drones that can plant almost 400,000 tree seeds a day. “There’s an absolutely huge, huge area across Canada in need of … reforestation activities,” Lauren Fletcher, chief executive of England’s BioCarbon Engineering, said Wednesday after a demonstration of his company’s drone equipment. …The device …flies about three metres above the ground [and] uses pressurized air to fire capsules loaded with seeds and nutrients into the soil twice a second. Dirk Brinkman, chief executive of Vancouver’s Brinkman and Associates Reforestation, said about 450 million trees a year are planted in Canada, most because it’s required after logging. But governments can’t always afford to deal with millions of hectares damaged by fire or other sources, so drones might be a cheaper, more effective solution, he said. The Oregon Department of Forestry has introduced a new online tool this month that will help community planners and the public learn about wildfire risk across the state. The web-based Oregon Wildfire Risk Explorer was developed in partnership with the Institute for Natural Resources, Oregon State University Libraries and Press, the Oregon Department of Forestry and the U.S. Forest Service. The tool will deliver the most current wildfire risk information for Oregon. The development team worked with statewide fire managers, agency representatives and private and public stakeholders to create the tool. Bethesda, Md. and Greenville, S.C. – The Enviva Forest Conservation Fund today announced the recipients of its 2018 suite of grants. The projects funded will help conserve a total of more than 5,000 acres, protecting ecologically sensitive bottomland forests in the coastal regions of Virginia and North Carolina. “We are so proud to work with our conservation partners in the Virginia-North Carolina coastal plain, oneof the most biodiverse and beautiful areas in the country,” said Enviva Chairman and CEO, John Keppler.“This work will lead to the protection of thousands of acres of sensitive forest lands and ensure that these forests provide ecosystem and economic benefits for generations to come.” …“In this third year of the Fund, I continue to be amazed at the caliber of organizations represented and the breadth and depth of conservation objectives reflected in these proposals,” said Endowment President and CEO, Carlton Owen. Rio de Janeiro — In a rare move, Brazil is providing armed back-up to indigenous people protecting the world’s most threatened tribe from illegal loggers, a decision that campaigners lauded as a “landmark” in efforts to halt deforestation in the Amazon. Officials moved in to the Brazilian rainforest after a group of from the Guajajara tribe, who call themselves The Guardians of the Amazon, seized a logging gang and burnt their truck, rights group Survival International said. A soldier stands guard in front of a truck loaded with logs that were illegally cut from the Amazon rain forest. …”That was a landmark moment, I would say, because The Guardians hardly ever receive support,” Sarah Shenker told the Thomson Reuters Foundation by phone. 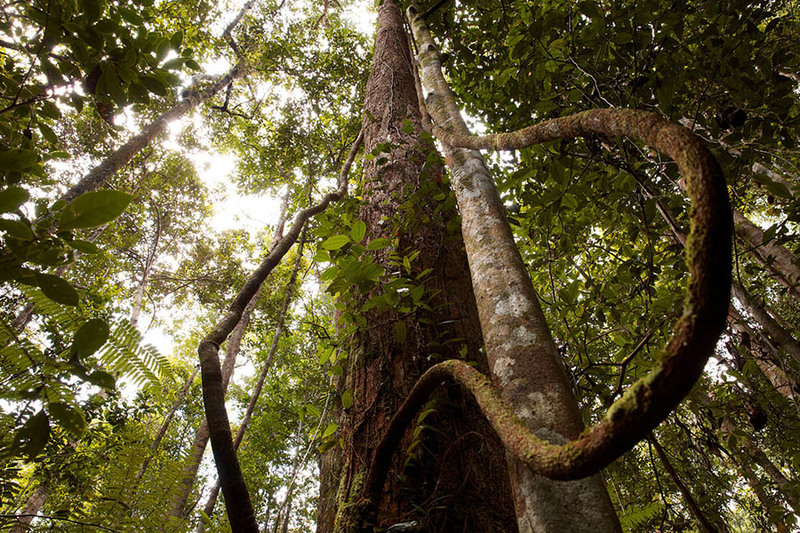 The Center for International Forestry Research (CIFOR), a scientific organization that researches ways to better manage and preserve the planet’s tropical forests, and Mongabay, a leading environmental reporting platform dedicated to raising awareness globally about social and environmental issues related to tropical forests, have launched a partnership to increase the dissemination of news about the status of the world’s forest ecosystems. As both organizations share a commitment to communicating scientific research and improving the capacity of journalists and investigators to report on forest conservation, this two-year agreement will help to build awareness of the crucial relationship between forests and people across the globe. Two significant wildfires are burning in B.C., one of them forcing an evacuation alert. The Avery Hill fire was sparked on Wednesday afternoon and is already 60 hectares in size. The BC Wildfire Service has classified it as an out-of-control fire. The fire is burning about 55 kilometres northwest of Kamloops, not far from the location of last year’s Elephant Hill fire. A second wildfire is burning about 35 kilometres west of Lillooet near Xusum Creek and is 25 hectares in size. Like the Avery Hill fire, it started Wednesday afternoon and is classified as an out-of-control wildfire. An evacuation alert is in place due to the Xusum Creek fire. Residents are urged to contact the Squamish-Lillooet Regional District for further information. A University of Calgary study says there need to be more wide, open spaces to prevent catastrophic wildfires… Researchers from the university’s Schulich School of Engineering used high spatial resolution satellite images to study the two costliest fires in Alberta history: the one in Fort McMurray and the 2011 fire in Slave Lake. The aim was to determine how civic design and planning helped fuel or prevent the spread of the fires. The team found destruction of many of the buildings could have been predicted based on the nearness of trees and vegetation to residential neighbourhoods. “We checked the areas and we found that within the minimum 10-metre boundary, there was forested area. Depending on the density of the forest, 30 metres or even 50 metres are considered dangerous,” said Quazi Hassan, lead researcher from the Department of Geomatics Engineering. FORT ST. JOHN, B.C. — The BC Wildfire Service will be bringing in more crews today to respond to a number of fires that flared up north of Fort St. John on Tuesday. Amanda Reynolds, Fire Information Officer with the Prince George Fire Centre, says that hot and windy conditions on Tuesday helped to fan the flames of several spot fires sparked by lightning over the weekend. Reynolds explained that two fires in particular have ballooned in size since Tuesday, when their smoke plumes were first noticed by fire crews from the air. …Reynolds added that while several fires have grown quickly in size in the past few days, the current situation is much less dire than two years ago, since none of the fires are currently threatening any property. 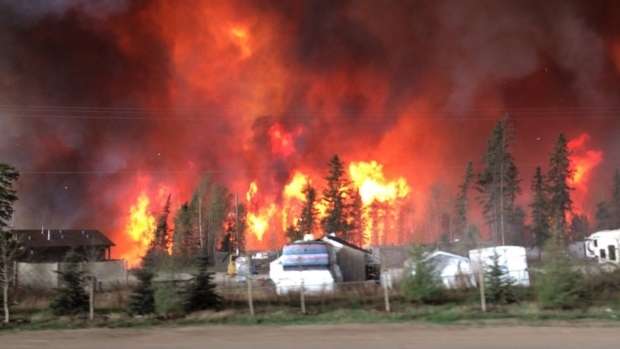 Manitoba officials say a fire nearly half the size of Winnipeg that is raging toward Little Grand Rapids and Pauingassi First Nation was human caused. Hundreds crowded into a hot school gym in Little Grand Rapids overnight, waiting to be flown to safety as the fire scorches closer toward the fly-in community about 265 kilometres northeast of Winnipeg. A spokesperson for the provincial government said Wednesday the fire was human caused and started around midday on Monday before growing rapidly. “Initially the fire was one-tenth of a hectare and crews believed it could be contained, however high winds picked up, and the fire got into a section of brush with taller trees and the fire began to run along the tree tops,” the spokesperson wrote in an email. THUNDER BAY – With temperatures rising and people eager to enjoy some time outdoors, officials with the Ministry of Natural Resources and Forestry are urging the public to be extremely careful and abide by the fire ban to avoid a costly and dangerous mistake. “The condition in the forests around Thunder Bay is explosive right now and the slightest little mistake could be costly,” said Garry Harland, fire management supervisor with the Ministry of Natural Resources and Forestry. 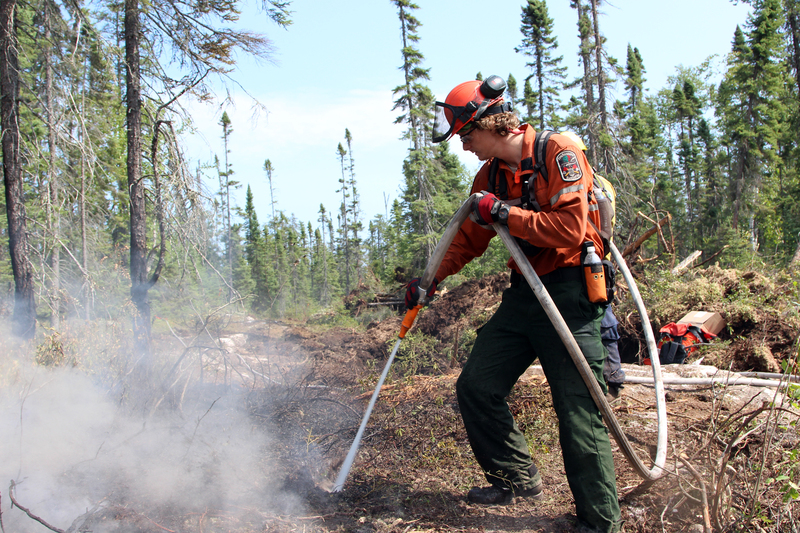 The entire Northwestern Ontario region is currently a restricted fire zone and a fire ban remains in effect for the city of Thunder Bay and district as dry, windy conditions are making the forest floor more susceptible to fires. Forest managers on the Coconino and Tonto national forests have closed several large sections to the public because of wildfire danger. KNAU’s Ryan Heinsius reports, it comes ahead of expected heavy visitation during the Memorial Day Weekend. 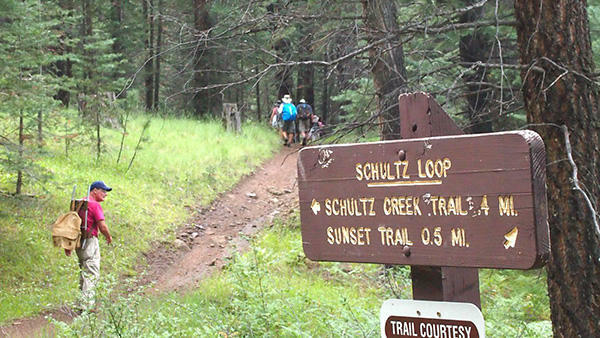 The closures include popular camping and recreation sites near the San Francisco Peaks, along the Mogollon Rim, and other areas officials say are highly susceptible to wildfire. 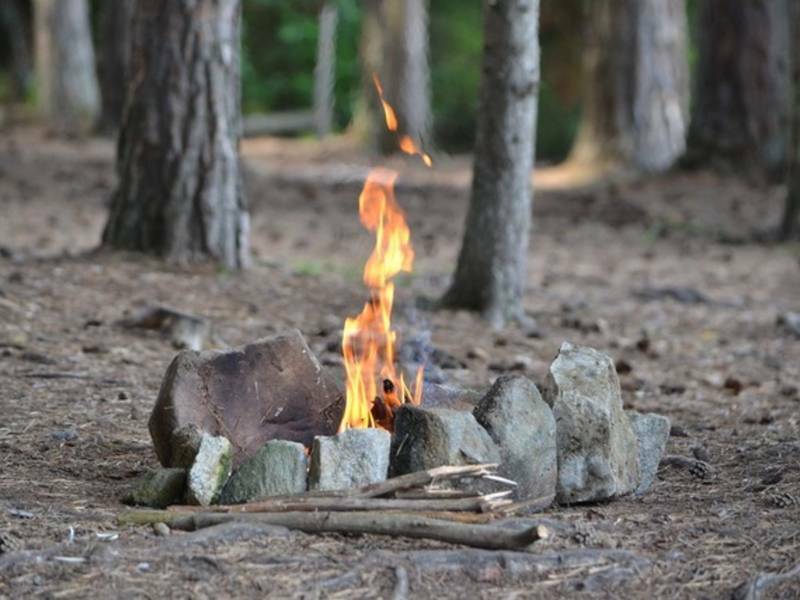 Forest patrols typically find dozens of abandoned campfires during holidays. “It’s very dry, we have to do something. All those places are watersheds, and that’s water that’s vital to our life. So we want to make sure that if a fire should break out, it doesn’t break out in one of those areas that would cause catastrophic flooding after the fire and destroy our watersheds,” says Coconino spokesman George Jozens. At its core, the bioeconomy is about bioproducts, or products made out of renewable materials like corn, sugar cane or wood. One of the driving forces of the bioeconomy is finding innovative ways to replace products made from non-renewable resources – like oil, concrete, and steel – with renewable alternatives. Recognizing this emerging economy and its potentially powerful role within it, the BC government has given UBC’s department of wood science within the faculty of forestry an approximately $300,000 grant to support the development of a new program called BEST (Bioeconomy, Sciences and Technology) that will prepare undergraduates to take advantage of all that wood can do to support the bioeconomy. …The BEST program will exist alongside the department’s Wood Products Processing program. Understanding the positions of those opposed to the wood pellet industry is critical to overcoming and reconciling differences. …Respect for other interpretations, even though disagreement exists, is critical to building solid relationships and is often beneficial in collaborations. Many in the biomass industry consider themselves environmentalists—champions of clean, renewable energy whose lifework benefits society and the planet. …It wasn’t so long ago when biomass advocates were more universally recognized with this designation than today, but somewhere along the way, something changed. …Fundamental differences exist between environmental groups and manufacturers of forest products such as the wood pellet industry. Even seemingly simple definitions, such as what a “healthy forest” is, or whether biomass is carbon-neutral, become vastly complex. A new study has found that if the climate warms as projected, warmer streams could compound the effects of global warming by adding more heat-trapping carbon dioxide to the atmosphere. 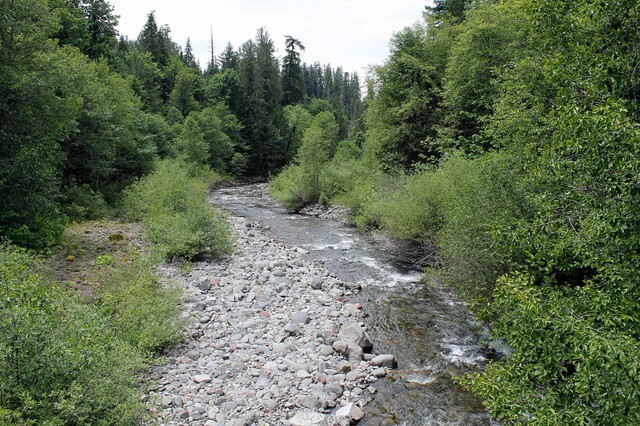 Scientists tested the carbon output of streams at seven locations across the globe, including watersheds in Oregon, Puerto Rico, Alaska and Australia. They monitored water temperature, dissolved oxygen and sunlight at the water surface and analyzed how all the organisms in the water were taking in carbon dioxide (CO2) during photosynthesis and releasing it during respiration. They used that data to simulate how much more carbon dioxide streams would emit if their temperatures were warmer by 1 degree Celsius. Overall, they found that small increase in temperature resulted in a 24 percent increase in carbon dioxide emissions. …Argerich said the new findings… can now be used to recalculate climate models. The U.S. Endowment for Forestry and Communities (Endowment) today released a report, “LEAF: Local Energy for American Fund Pilots, Outcomes, and Lessons,” that assessed results of an effort to enlist private capital in support of converting fossil fuel systems to locally-derived wood-to-energy. One of the greatest challenges to sustaining the health of America’s forests is the problem of small- diameter, dying and dead trees for which in all-too-many places there are few if any markets. “Withouteconomically viable markets, landowners (both public and private) are left with few options to manage their forests in ways that keep them healthy and thus mitigate against the chances of catastrophic lossfrom insects, diseases and wildfires,” says Endowment President and CEO Carlton Owen.